21 april 2002 - Poznan (PL) – depot/zajezdnia Glogowska. A selection of withdrawn four-wheelers behind Glogowska depot. 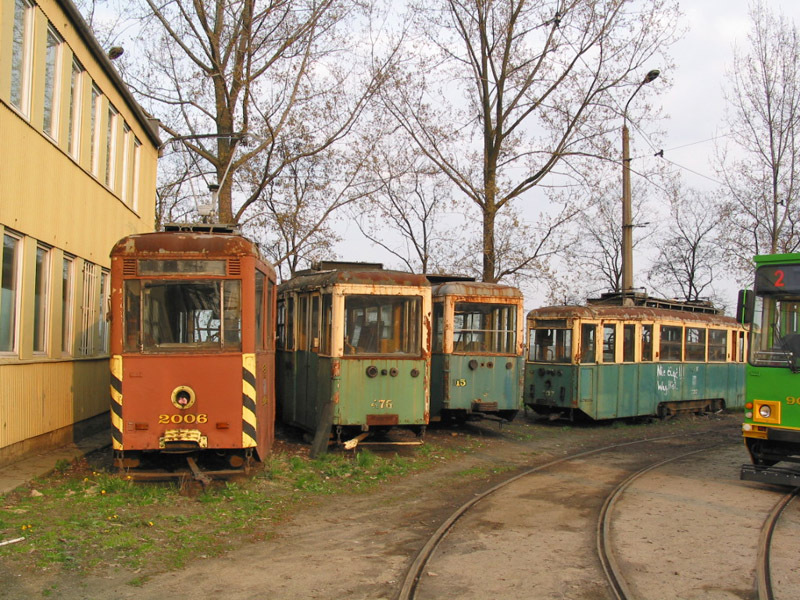 The last time I visited, this was still the place where a few old trams were stored, but some had vanished, like this one which now has a new life in Jelenia Gora.